Rabat - The net result of Maroc Telecom Group reached MAD 4.32 billion as at end of September 2015, a regression of 6.2pc compared to the same period of 2014, for a turnover of MAD 25.5 billion, posting a progression of 16.6pc. Rabat – The net result of Maroc Telecom Group reached MAD 4.32 billion as at end of September 2015, a regression of 6.2pc compared to the same period of 2014, for a turnover of MAD 25.5 billion, posting a progression of 16.6pc. The performance is ascribed to the financial costs of purchasing and integrating six African affiliates, Maroc Telecom says in a release. 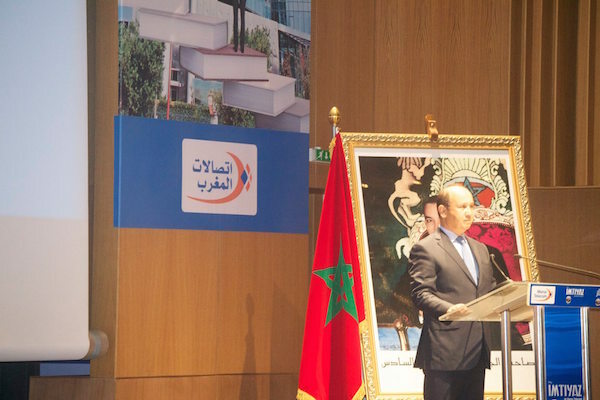 “Despite an adverse competition context, Maroc Telecom is finding back its way to growth thanks to results in Morocco and good performance of its affiliates,” said the Group CEO, Abdeslam Ahizoune. “The continuation of our investments in the landline and mobile very high speed will further support the group and consolidate its profitable growth,” he stressed. Maroc Telecom’s earnings before interest, taxes, depreciation, and amortization (EBITDA) reached MAD 12.75 billion, posting a progression of 6.2 pc. With 51 million customers as at September 30, 2015, the group improves by 29 pc year-on-year as a result of the integration of new African affiliates.